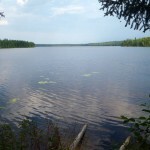 Agnew Lake is located on the Northeast corner of Lost Bay. 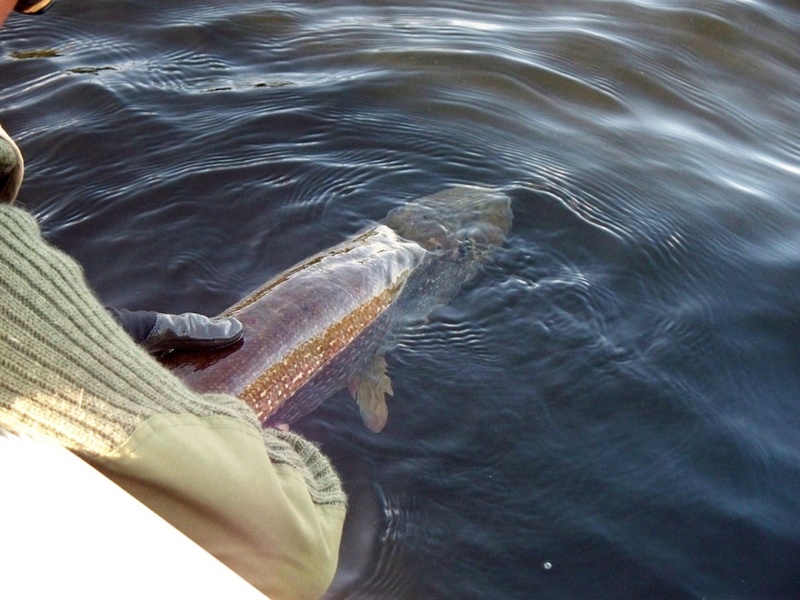 For a couple of anglers looking for an adventurous fishing trip, this would be one of them. To access the lake, you would drive your vehicle north on South Bay Rd. to the South Bay Outpost landing. 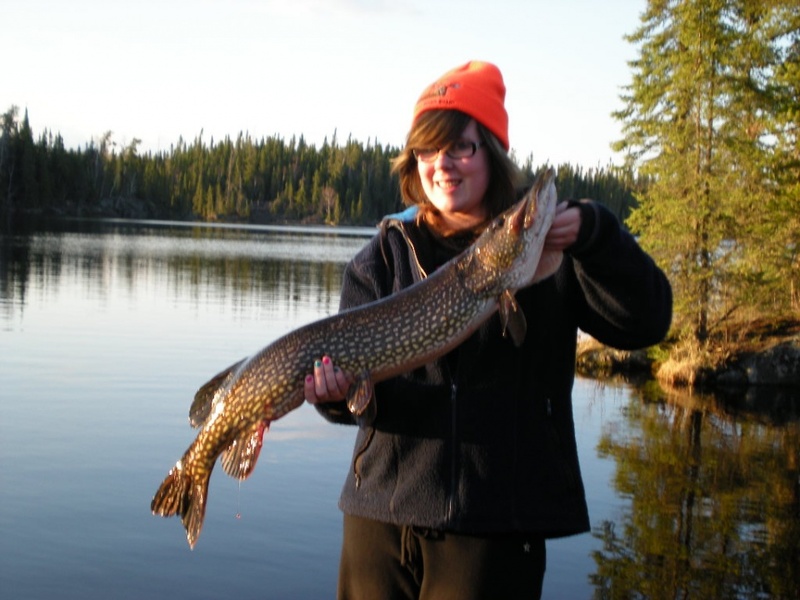 Hop in a boat and travel up Confederation and across Lost Bay to the Agnew Lake portage trail. A 200m hike across a great trail puts you at the lake. 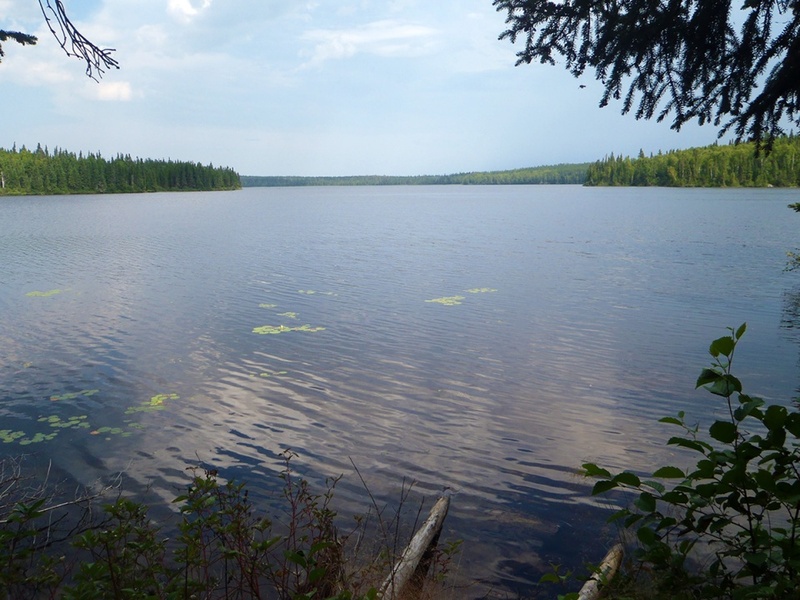 Agnew Lake is about 1.5 km (1 mile) and 900m (3/4 mile) wide. A very clear lake with an average depth of about 2m (6ft) with a couple of deep holes out in the middle at the northwest end. 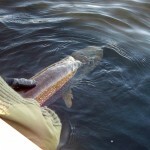 I have only had a chance to fish the lake once. 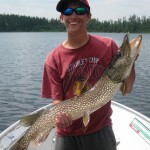 That day we caught a lot on very nice Northern Pike. 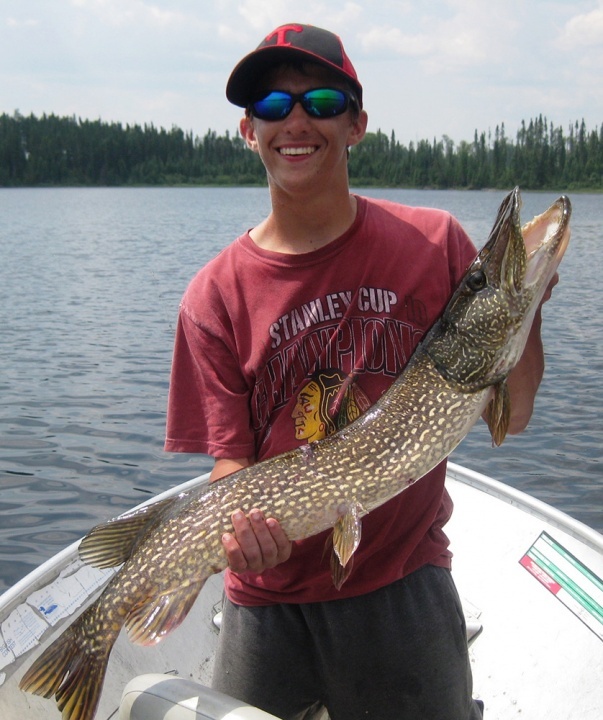 Beautiful wide bodied fish with an average length of 25-30”. We also hooked into a few Yellow Perch. We weren’t rigged for Perch so I can’t say how many we would have caught had we been ready to target them. 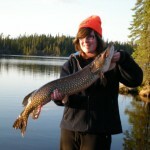 A wilderness fishing trip adventure for sure, Agnew Lake sees a rare angler every couple of years. This portage is only available when there aren’t any guests staying at South Bay Outpost.